Conquer your pain and anxiety the all-natural and effective way with pure CBD oil. Many people have found a better way. A more sensible one that is natural and effective. High dosages of pure CBD oil, also called hemp oil and CBD tinctures have been shown to have significant benefits for a long list of medical symptoms including pain and anxiety. In fact hemp has been used for thousands of years before scientists have even began to understand why. In this article we present the best CBD oils on the market that can help with pain, anxiety and a variety of other ailments. To learn more information about CBD and the different forms of consumption see our comprehensive guide to CBD below the products. CBDfx has recently introduced their highest concentrated CBD oil line thus far. 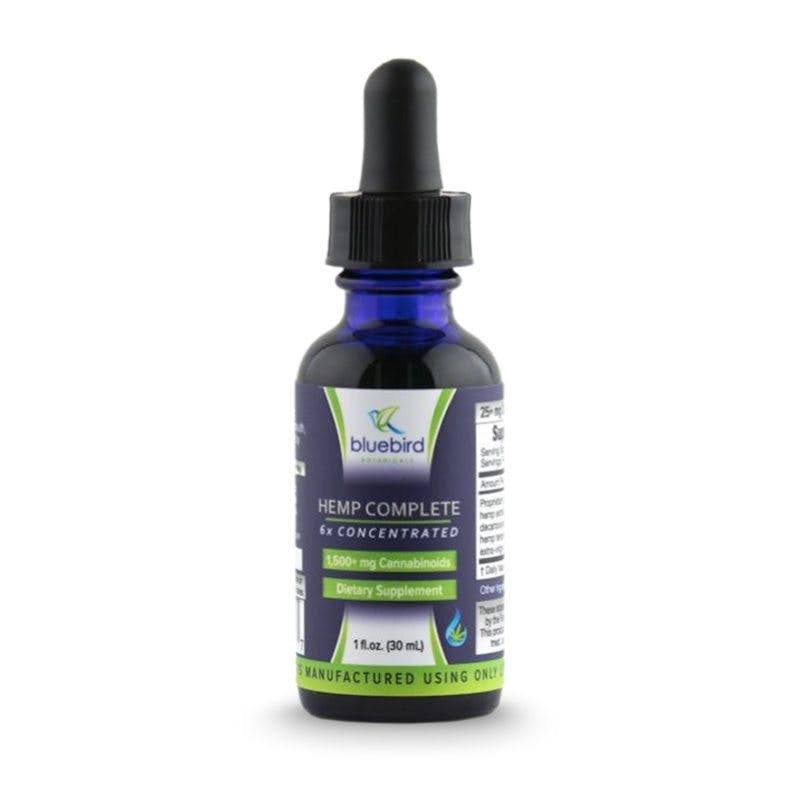 This CBD tincture is designed specifically for oral use. It’s blended with MCT oil made from coconuts. They start at 500 mg and go up to 1,500 mg CBD. CBDfx utilizes a unique CO2 extraction process using industrial hemp. This three-step process begins with subcritical (low heat, low pressure) CO2 extraction of the hemp plant and ends with supercritical (high heat, high pressure) extraction before they are homogenized together. Koi has quickly grown into one of the most popular CBD brands virtually overnight. Originally known for making e-liquid, they now have a line of hemp oil designed just for oral consumption. They can be taken either sublingually (under the tongue) or mixed in with other beverages. 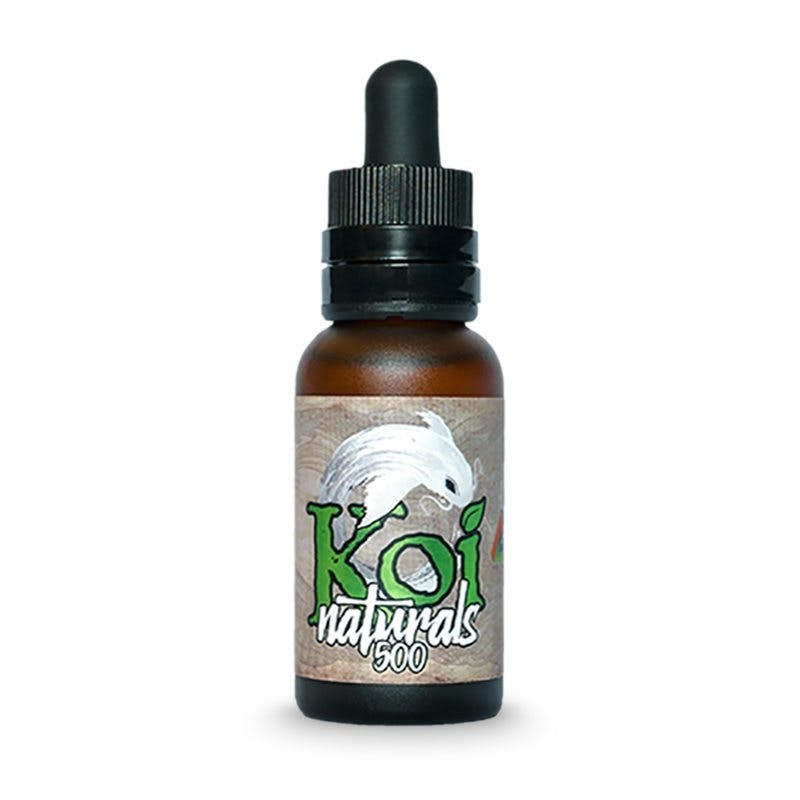 Koi Naturals is formulated with full spectrum CBD oil and coconut oil. This means it contains not only CBD, but other important cannabinoids. Available in either spearmint and natural. This is the strongest and most concentrated CBD oil tincture that Koi has to offer and an excellent value. Experience the power of hemp oil, minus the bad taste. The problem with many CBD oils is the harsh taste that overpowers the flavor. Not Hemp Bombs. Their CBD oil has a pleasant taste, even in higher doses because they use premium CBD isolate extracted from European hemp. By using CBD isolate instead of a whole-plant extraction method, they’re able to achieve better flavor in higher dosages. It tastes pure and clean with a refreshing minty aftertaste. Hemp Bombs is available in some of the highest strengths available containing up to 4,000 mg CBD. Green Roads takes pride in the high quality of their CBD products. They start by creating their own 99% pure CBD isolate from organic hemp plants through CO2 extraction. Then they use these crystals to create a strong product free of any contaminants, solvents, pesticides etc. This CBD oil is designed for sublingual use, but is vegetable glycerin based, so it can be vaped. For treatment of severe conditions such as pain, inflammation and anxiety, we recommend a formula with at least 550 mg CBD or higher. Green Roads offers up to 1,500 mg in strength. 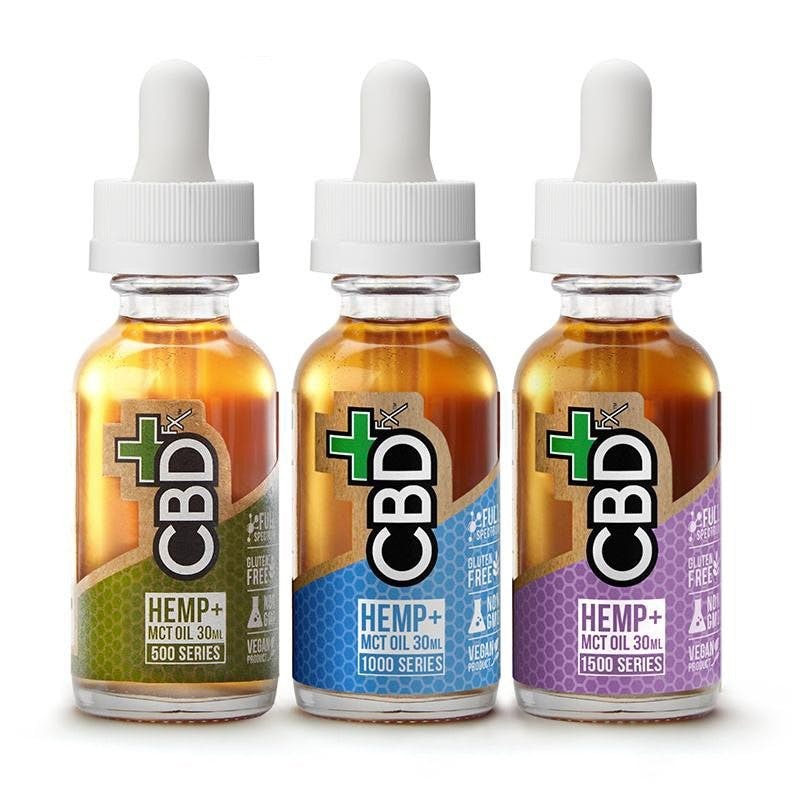 CBD Drip is another well-established name in the CBD market. 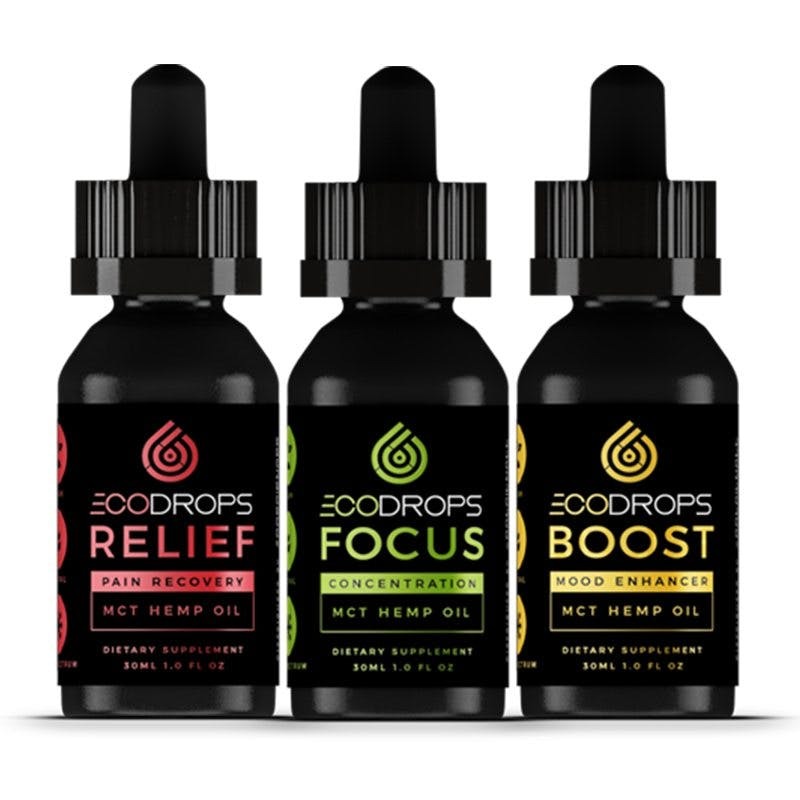 They’ve launched a new line called Eco Drops comprised of high potency CBD oil blended with various terpenes. All of them are formulated with naturally-occurring cannabinoids and made from full-spectrum hemp extract. Each blend uses different terpenes that are shown to have specific effects various symptoms. Focus is best suited to treat anxiety and enhance mood while Relief alleviates pain and inflammation. Also contains omega-3, omega-6, vitamin E and other essential nutrients. Bluebird uses a unique process to create their blend of CBD oil. This special formula contains decarboxylated and non-decarboxylated forms of cannabinoids. They also use steam-distilled hemp extract with added terpenes for additional benefits and effectiveness. Bluebird adds various aldehydes, ketones and organic olive oil, in addition to 26 aromatic terpenes, It’s one of the most comprehensive CBD oils on the market. They’re available in 1,500 mg CBD concentration in various size bottles. Strong and effective for chronic pain symptoms. NuLeaf is a no frills, no nonsense CBD manufacturer. They produce high quality CBD oil for treatment of pain and anxiety. Made from organic plants grown in Colorado, USA containing no pesticides or chemicals. They use whole-plant extraction to create a pure and simple product. NuLeaf Naturals produces some of the strongest CBD oil available, which is perfect for serious conditions such as chronic back pain. Their tinctures are completely organic and contain no additives. Available in 1 oz bottles containing up to 1450 mg of CO2-extracted cannabidiol. You need relief now. CBD Distillery provides quick relief for your pain and anxiety symptoms. It mixes well with drinks or can be taken sublingually. This CBD tincture is all natural and contain no added chemicals or dyes. 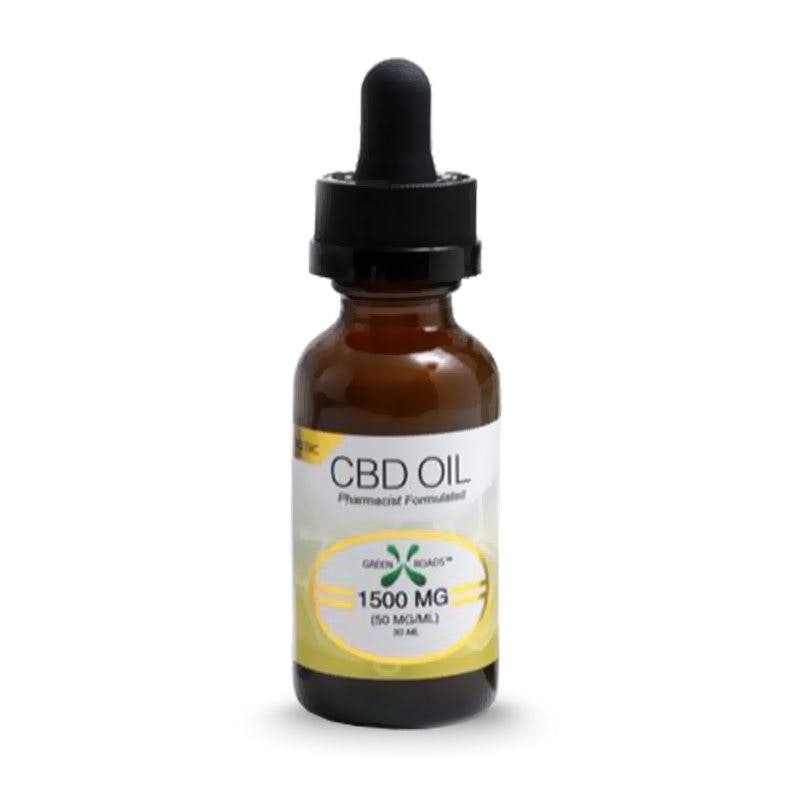 Contains 1,000 mg CBD per each 15 mL bottle of CBD oil. CBD Distillery is a company that truly believes in the power of CBD. They strive to create the best quality and most effective products. They are also passionate about spreading knowledge about CBD. This full-spectrum tincture contains pure CBD oil suspended in organic coconut oil. Receptra is committed to helping people reach that next level. They put an emphasis on mental and physical performance. Their CBD oil doesn’t just contain a high dosage of CBD, but also turmeric, naturally occurring cannabinoids, antioxidants, neuroprotectants and fatty acids. 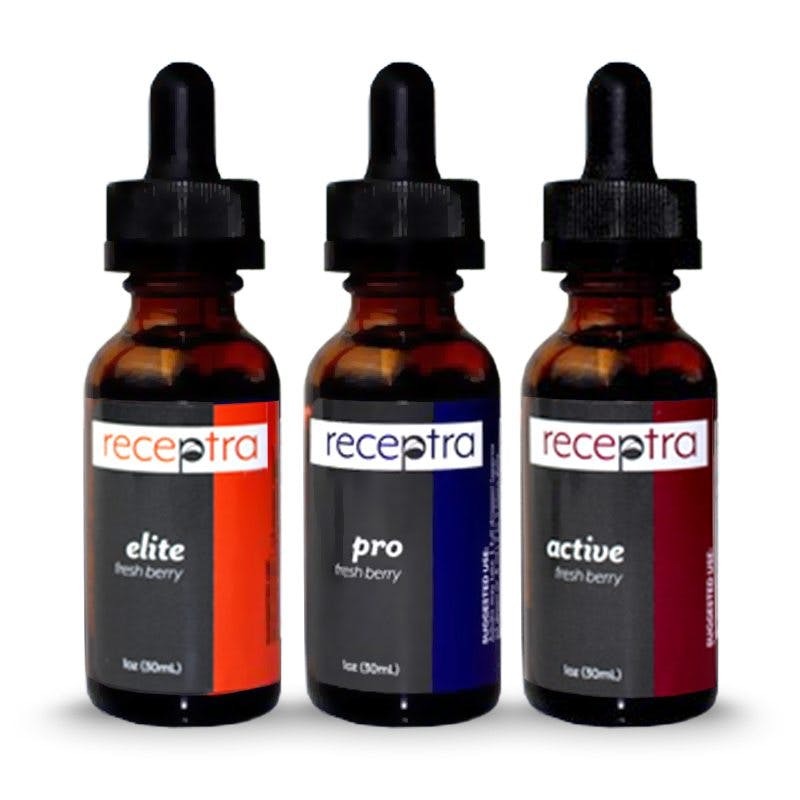 Receptra Pro and Elite are their strongest hemp oils available right now. Each 30 mL bottle contains up to 2,000 mg of CBD blended in MCT coconut oil. Their Active Lifestyle range isn’t just for treating pain and anxiety, it’s also optimized for overall health and well-being. Sol is a CBD company that values integrity and honesty. Their customer track record is quite impressive. This ultra strong hemp oil is made from whole plant extracts and contains some of the highest level of CBD available. Each bottle contains 3,600 mg of full-spectrum cannabidiol. 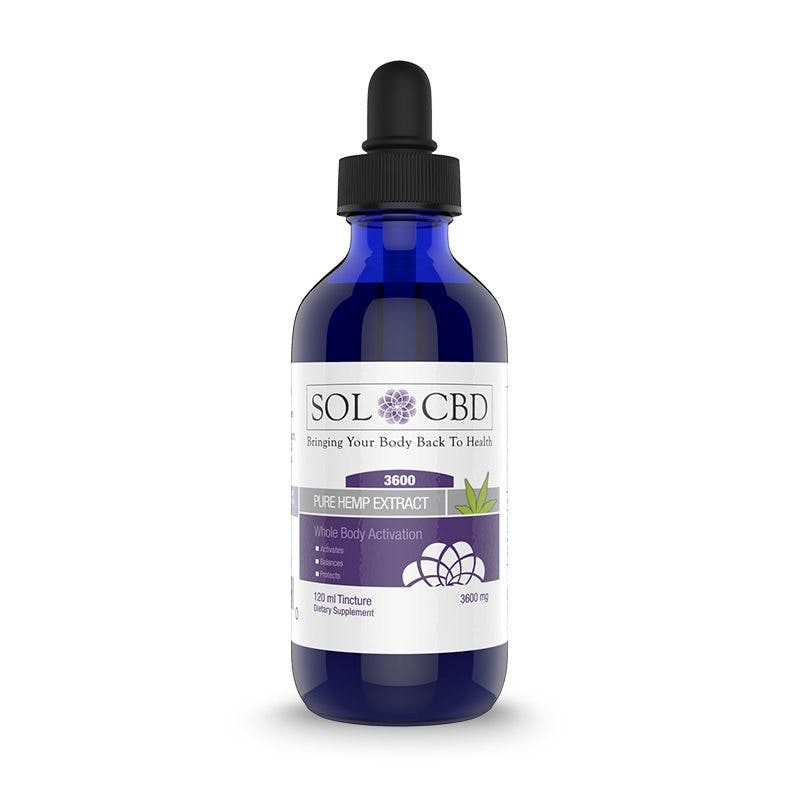 Sol CBD cold pressed CO2 extraction to produce a pure and potent oil. Combined with MCT, this increases the bioavailability of the cannabinoids when taken orally. There are no solvents, chemicals or flavorings added. If you’re looking for the strongest CBD oil possible, this is it. Hemplucid is a clear choice, literally. It is virtually odorless, colorless and optimized for maximum absorption and metabolization. This is a strong CBD oil designed for oral use and contains MCT coconut oil. Its extended delivery system is ideal for pain management. They use whole-plant extracts to increase cannabinoid and terpene content. 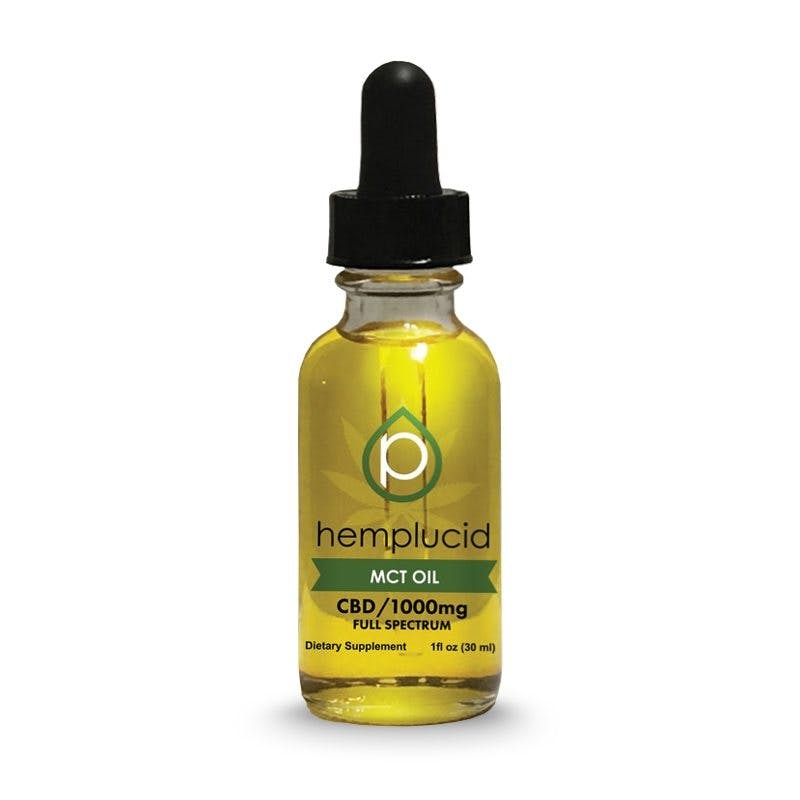 In addition, Hemplucid contains vitamin E as a natural preservative. 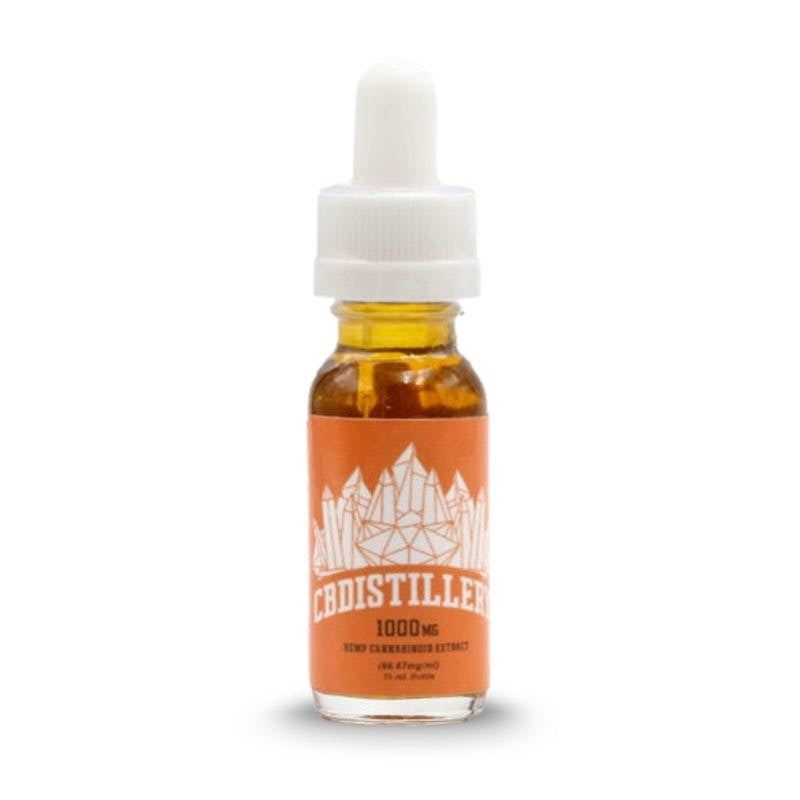 Starting at 250 mg CBD, their tinctures go all the way up to 1500 mg per 30 mL bottle. Made without synthetic ingredients or flavorings. As illustrated in this image, the health benefits of CBD extend much further beyond the treatment of pain and anxiety. Cannabidiol contains anti-oxidative and neuroprotective properties. CBD can also provide relief for various symptoms pertaining to the stomach, bones, eyes, heart and digestive tract. Scientists have been discovering more and more benefits of CBD each day. There are many studies suggesting that CBD is effective in the management of difficult to treat pain when taken in higher dosages. These studies have also shown minimal side effects from the subjects taking it. Whether it’s for chronic back pain or pain from cancer and multiple sclerosis, people are getting the natural relief they have been longing for by using CBD oil. When used for anxiety, CBD oil has been shown to have an antidepressant-like effect. Studies have proven cannabidiol to be effective for stress, even symptoms of PTSD. In this study, scientists observed that high doses of CBD activated mood-enhancing serotonin receptors. Whereas the infamous cannabinoid THC is known to sometimes increase paranoia, CBD is its natural counterpart. It decreases anxiety, and can even balance out the “high” created by THC. The list goes on. There are actually many other medical conditions that could benefit from taking CBD oil. For example seizures, diabetes, acne, schizophrenia, insomnia, multiple sclerosis and autism to name a few. A recent Forbes report has shown that almost half the people who use CBD oil have been ditching their meds for a more natural alternative. Can I take CBD oil if I'm healthy? Sure! You don’t need to be ill to take vitamins or supplements, so why not also take advantage of the many benefits of CBD oil? These CBD drops are actually loaded with ingredients that are conducive to your health, whether you are suffering from pain or not. Taking CBD can still help you relax, improve your mood and reduce inflammation, even if you’re already perfectly healthy. Most of the CBD tinctures on this page are MCT oil-based which is good for your metabolism. They’re also “full-spectrum” or “broad spectrum” which means they contain additional terpenes and cannabinoids. Some also contain minerals, essential fatty acids and phytonutrients. CBD is legal if derived from hemp (not cannabis) though some US states require a prescription. These high-strength blends can be hard to find, let alone from a reliable and consistent source. Don’t worry, we’ve already compiled a list of the best and most strongest CBD oil for sale. Note: Keep in mind that for severe conditions such as pain and anxiety, you may want to start with the recommended dosage and slightly increase it if you’re not getting the results you want. Where to buy the strongest and best quality CBD oil? It’s always important to avoid imposters. There are lots of companies on the web selling CBD oil that are NOT reputable. Their products may contain synthetic chemicals, contaminants or even THC. Don’t take chances with your health, it’s too valuable to neglect. Always look for the purest CBD oil available, especially if you’re in severe pain or suffering from anxiety and panic attacks. You might have seen some CBD oil for sale at your local head shop or corner store. If they’re not made by one of our trusted brands, DO NOT buy them. If a company doesn’t publish up to date third-party lab results of their product, don’t even waste your time. 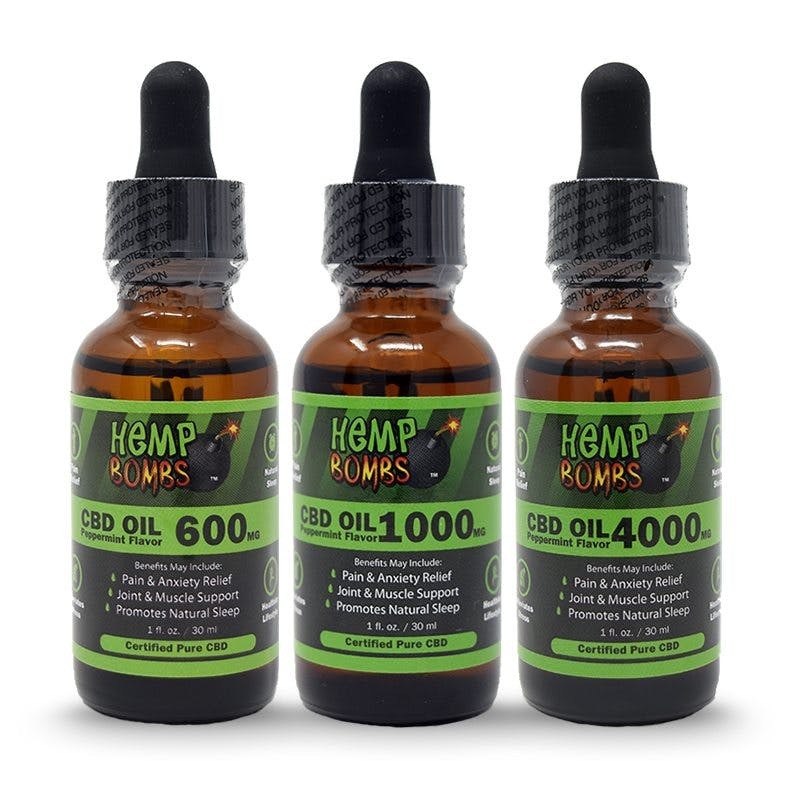 For that reason alone we strongly advise you to buy your hemp oil online from only the most trusted and reliable sources. All of the trustworthy brands use extensive testing to ensure that you’re actually getting the real deal. Just pure CBD oil, made in a clean facility, extracted from the finest quality hemp plants. What does "pure" CBD oil mean? Pure means free of contamination, synthetic chemicals, and without psychoactive effects. Some are made with CBD isolate crystals, while others are made by whole-plant extraction. The best CBD oil companies all use CO2 extraction to guarantee a clean, safe and effective product. Will I fail a drug test with CBD oil? Many of the strongest and most concentrated CBD oils can actually contain trace amounts of THC, especially when they are made with whole plant extracts, known as full-spectrum CBD. This type of CBD oil usually contains trace amounts of THC and other cannabinoids and terpenes. They can actually create a false positive on some drug tests. If you are subject to drug testing, be sure to look at the lab results before using a particular product, to make sure it is THC free. Typically the ones made from CBD isolate and not whole-plant extraction contain zero THC. What are real people saying about CBD oil? We have also taken customer satisfaction into account. All of the brands listed on this page have overwhelmingly positive customer feedback. We recommend that you browse each of their websites to see lab results and customer reviews before placing an order. Here are a few examples of some real customers’ experiences and reviews of the best CBD oils. “Definitely a lot of money to spend but it is worth it! I have been struggling with terrible migraines & pain from TMJ. Over 10 different medications haven’t helped at all but since I have started using CBD the migraines have decreased significantly and I am more happy, have more energy & motivation. Strongly recommend!! !” – Amanda F.
“I used CBD for restless leg syndrome. It works. But it turned out to have very good anti-inflammatory qualities. But the best part ! 32 years she i had a TBI and I haven’t had a pain free day since. Until now, since I started using CBD I haven’t needed my Oxycodone for my head pains. I have used narcotics for 32 years for pain. I’m that time I had 4 overdoses. Now I’m free from that monster.” – Bill S.
After using this cbd oil for a month now, I have to say it has really helped my sleep, body pains, and anxiety. Just made another order. I will keep buying it. – Anna P.
“I must say your CBD oil is utterly amazing! I am able to get off my prescribed meds, which cost me more than the oil, plus it makes me feel better than my meds. It has changed my life for the better. I am in less pain, have less anxiety and I am so thankful that you offer it. Go Hemp Bombs.” – Felicia W.
No. The CBD oil listed on this page are designed specifically for oral use unless otherwise specified. See our best CBD vape juices page to discover those that can be vaped.